We are a leading Manufacturer & Supplier of Sequence Controllers such as Ecee Thermax Boiler Sequence Controller , siemens sequence controller, siemens Burner Programmer , brahma sequence controllers , Oil Burner Controller, siemens Control Box , Linear Systems sequence controller, Linear Systems Burner Programmer, Honeywell Burner Controller , Honeywell Burner Controller and many more items from India. We are a leading Manufacturer & Supplier of Sequence Controllers such as Ecee Thermax Boiler Sequence Controller ,siemens sequence controller, siemens Burner Programmer , brahma sequence controllers ,Oil Burner Controller, siemens Control Box , Linear Systems sequence controller, Linear Systems Burner Programmer, Honeywell Burner Controller , Honeywell Burner Controller and many more items from India. 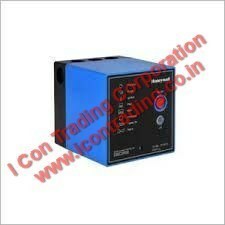 Icon trading corporation,Kolkata, offering different types of Honeywell Sequence Controller in most competative price. Our imported Honeywell Sequence Controllers are durable & reliable. "We are leading Manufacturer,Supplier and Exporter of Industrial Equipments & Furnaces like For Steam coils/Thermopack Boiler coils, Solid fire/Oil Fire/Gas Fire. Oil Pump, Boiler Spare & Parts, Industrial Laundry Equipment, Chimney,Tumbler, Flatwork Ironer, Oil & Gas Burner,Suntec Oil Burner Pump, Water Softener, Ion exchange Resin,Pipe Line Fabrication & Erection. across the Eastern India mainly Kolkata,West Bengal,Nepal, Bihar, Jharkhand, Orissa, Assam, Siliguri, Durgapur, Asansol, Ranchi, Dhanbad & Bhutan region." Icon trading corporation, Kolkata offers all types of Brahma Sequence Controller across the India in most competitive price. Brahma Gas Burner Controllers VM 43. Our company offers a qualitative range of Satronic Sequence Controller Models that are also used for oils and gas burners. These products have different features includes efficiency, high performance, reliability and durability. Our products are widely used by our client in various fields. These products are easily available in the market at market leading prices. 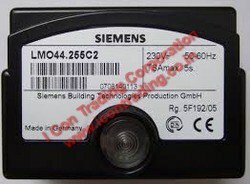 With the support of diligent personnel, we are offering finest quality Siemens Sequence Controller. These products are well known among our clients for their effectiveness in regulating firing sequence in burners. Designed and fabricated at vendors end by use of skilled professionals, we have with us wide configurations of these controllers for serving vast clientele base. We are a leading Manufacturer & Supplier of Sequence Controllers such as Ecee Thermax Boiler Sequence Controller ,siemens sequence controller, siemens Burner Programmer , brahma sequence controllers ,Oil Burner Controller, siemens Control Box , Linear Systems sequence controller, Linear Systems Burner Programmer, Honeywell Burner Controller , Honeywell Burner Controller and many more items from India.Icon trading corporation, Kolkata supplies Indian make sequence controllers for oil and gas burners and boilers. 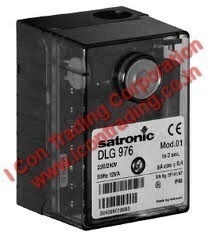 We also import & supplier other then non Indian make sequence controller Like Simens, Honeyell etc. We are highly specialized firm supplying and trading best quality Honeywell PID Controller. 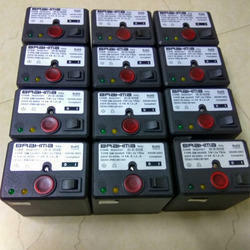 These controllers are very much effective in controlling the firing sequence in furnace and also used to calculate error value from desired set point in various applications. The procurement of these controllers are are done from reliable vendors, who manufactures them in accordance with latest industrial norms. Being an eminent company, we are involved in presenting huge array of Unigas Sequence Controller. This Unigas Sequence Controller is frequently used for the start up, supervision and control of oil. The offered Unigas Sequence Controller is highly durable in nature and recommended for their hassle free performance. Looking for Sequence Controllers ?